Poor lighting can affect the health of people at work causing symptoms like eyestrain, migraine and headaches, lethargy, irritability and poor concentration. Poor lighting may include light levels, glare, and flicker. 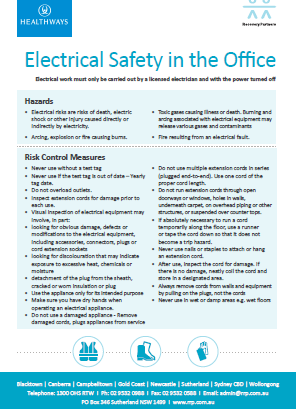 Do you have poor lighting/electrical safety in your workplace? Download our FREE light fact sheet.